A basketball star’s journey filled with dreams and aspirations had been covered on News 12 Brooklyn. 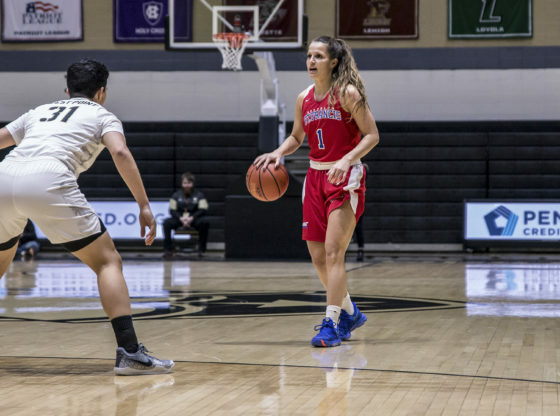 In transitioning from Melbourne, Australia to Junior College in Kansas, Amy O’Neill wound up in Brooklyn Heights, playing for the St. Francis Women’s College basketball team. O’Neill went on to talk about keeping her Journey and quest alive, explaining to what brought her to the point in where she’s at now. “So I knew after spending two years in Kansas, I wanted a little bit of a change,” O’Neill said. After arriving at St. Francis College in 2017 – O’Nell spent just one lone year playing at St Francis College in making an attempt to acclimate herself right here Brooklyn, NY. “I don’t know if it’s just maybe me in getting comfortable, but this year I felt more confident. Standing here, I look back on the season and it went by so fast in this point of time. You know, it was really good, really amazing. After O’Neill’s two years of Junior College, she would make history at St. Francis College. She recorded the program’s first triple double twice during her senior year. As O’Neill’s season comes to an end, the St. Francis basketball star went on to confirm that she will plan on playing professional basketball in the near future for her years to come. ‘I’m just going to see what happens. Not sort of looking to much into it. I have no expectations of anything yet to do with the WNBA. But we’ll just see what happens. I’m hoping for opportunities and all of that. It’s just been so awesome to see the support i had from St. Francis.I really appreciated everything that I got there. After graduation – O’Neill said the first thing she’s going to do when she touches base back home in Australia is to reunite with her family again.